2 October 2018 WYVERN GARAGE HAS NOW REBRANDED ITSELF AS AN EURO REPAR CAR SERVICE CENTRE. 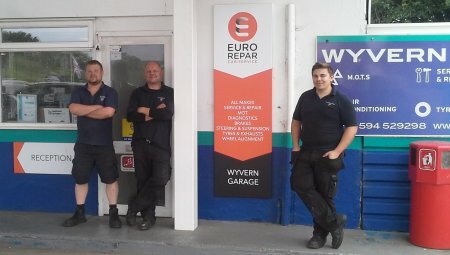 Wyvern Garage, in Lydney, has now rebranded itself as one of the ever-increasing number of Euro Repar Car Service Centres across the UK. They have been providing quality vehicle repairs and servicing for 30 years. With full workshop facilities and an MOT bay, the business has been built by ensuring that every vehicle, whatever its make, model or age will receive the same care and attention. 2 October 2018 MY GARAGE AUTO LTD CELEBRATES JOINING THE EURO REPAR CAR SERVICE NETWORK. 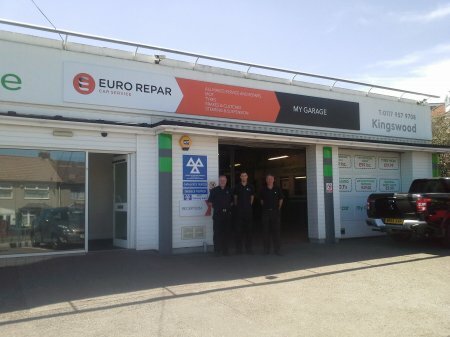 My Garage Auto Ltd, in Emersons Green, Bristol, is delighted to operate as an official Euro Repar Car Service Centre. always happy to explain their work with customers directly. Offering everything from MOTs and repairs, to servicing, tyres, brakes and exhausts, My Garage Auto Ltd has a loyal customer base in Bristol thanks to its high levels of trust and value for money. 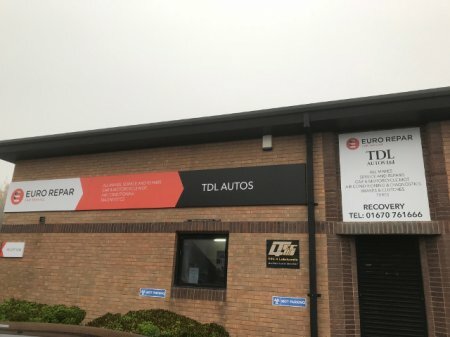 1 October 2018 AUTONY'S GARAGE LAUNCHES AS A EURO REPAR CAR SERVICE CENTRE. 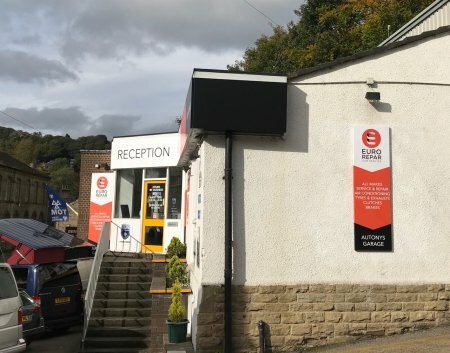 Autony's Garage, in Holmfirth, has officially launched as an Euro Repar Car Service Centre. Using their slogan ‘local people looking after local people’, Autony's Garage has built a successful service and repair business. With 100 years of combined experience among their staff, their success comes as no surprise. On the 5th-7th June 2018, Euro Repar Car Service will be returning to Automechanika at the NEC in Birmingham. Join us on stand Q129 where our Euro Repar Car Service Team will be on hand to answer your questions and tell you more about joining our network. For any British Touring Car Championship fans out there we’re excited to announce that on Wednesday and Thursday we will be joined by Josh Cook who is currently 2nd in the Driver Standings for 2018. And if you think you’ve got what it takes to drive like Josh Cook then we’ve got the competition for you! Put your foot to the floor with our race simulator and see if you can get the fastest lap of the day. To find out how to register for free to attend Automechanika click here. vehicles and motorcycles in the Hadston area. 'As committed supporters of independent garages, we are truly proud and honoured to be able to sponsor the WCFMC Garage Awards 2017 and recognise quality workshop performance where it's due. To read the full article, and to view our feature, please click here. Euro Repar Car Service are proud to anounce that we are sponsoring Independent Garage of the Year for the CAT Awards 2018. An article was published in the CAT magazine, which you can view in the March edition. Click here to be re-directed to the CAT Magazine website where you will be able to find out more about the CAT Awards 2018. Scots Auto Scene magazine have published an article about Euro Repar Car Service containing information about our fast growing network. The article was published in Issue 148 on page 12. You can find and read the full article by clicking here. 22 January 2018 Euro Repar Car Service is Sponsoring Young British Driver - Josh Cook in the 2018 British Touring Car Championship (BTCC). Josh Cook is well known on the British motorsport scene, competing in a range of national and international series such as Renault Clio Cup, the 24 hour series as well as BTCC. The Euro Repar Car Service Brand logo will appear across the car and also on Josh’s helmet and race suit and will be seen at races right across the country throughout the year. On the 8th January 2018, an article was featured in the Garage & MOT Magazine about the launch of Euro Repar Car Service and the journey we have taken to launch our network in the UK.